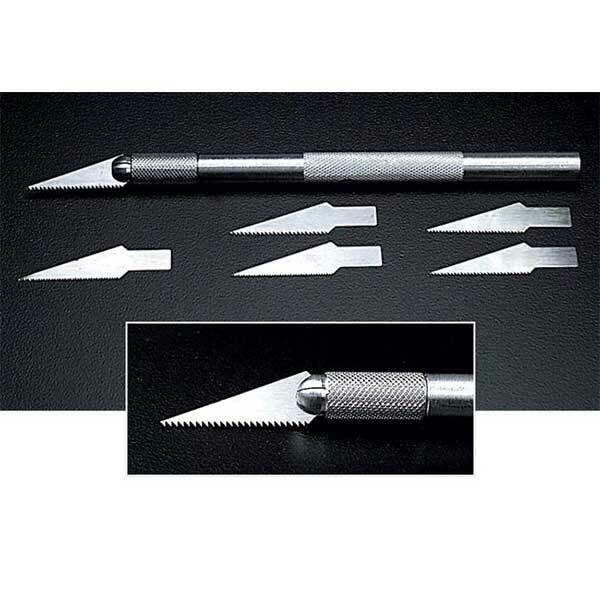 Excellent tools for cutting plastic, soft metal and wood in tight places and when a knife blade just won't cut it. Set includes: 6 blades...two .010 inch thick x 40 tpi; two .010 inch thick x 30 tpi; and two .015 inch thick x 24 tpi...and 5 inch long aluminum handle. Blades are made of premium quality steel.